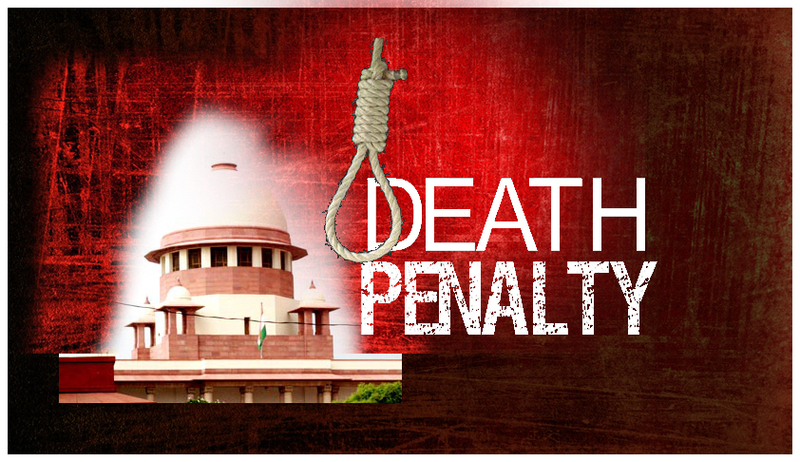 The Supreme Court in a recent ruling, commuted the capital punishment of four convicts, who were accused of killing nine people, to life imprisonment on the basis of their young age and poverty-stricken socio-economic background. A Bench of the Apex Court headed by the Chief Justice of India, P Sathasivam, found that the behaviour of the convicts inside the jail was very good and they are not beyond reformation. "All the four accused were young in age at the time of commission of the offence i.e. 23-29 years. They belong to the economically, socially and educationally deprived section of the population. They were living in acute poverty. It is possible that, being young, they had a yearning for quick money and it is these circumstances that had led to the commission of the crimes in question," the Apex Court reasoned, before reducing the death penalty handed down by the Courts below, to life imprisonment. Santosh Manohar Chavan, Amit Ashok Shinde, Yogesh Madhukar Chavan and Mahesh Dhanaji Shinde were awarded death sentence for killing 9 innocent and unsuspecting victims in Sindhudurg district of Maharashtra. The investigation into the matter revealed that the crime was committed over a period of two months, in three separate incidents and that there were two children amongst the victims. The Bench held "Balancing the two sets of circumstances i.e. one favouring commutation and the other favouring upholding the death penalty, we are of the view that in the present case the option of life sentence is not unquestionably foreclosed. Therefore, the sentence of death awarded to the accused should be commuted to life imprisonment."